The Wagner Family, the founder of Caymus, is synonymous with rich and delicious Californa Cabernet. 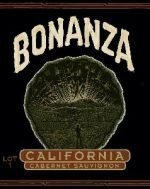 Their new Cabernet Sauvignon is called Bonanza, and it is a knockout! To give Chuck Wagner maximum flexibility in crafting this wine, it carries a California appellation and a lot number rather than a vintage. While the winery does not disclose fruit sourcing, our suspicion is that it likely contains a good amount of fruit from the Wagner family’s vineyards in the Suisun Valley. We would not be surprised if a bit of Napa fruit also found its way in! As you would expect, the Bonanza “Lot 1” is full of ripe fruits, including black cherry, blackberry and blueberry, along with telltale flavors of green herbs, a bit of tobacco, vanilla and milk chocolate. Medium ruby-red, this wine opens with scents of currants and dried roses, grape pomace, and freshly tilled soil. The nose is nuanced with toasty oak imparting a subtle smoked meat character. Flavors of blueberries and blackberries mix with the warmth of vanilla and toasted bread. Silky tannins and striking smoothness. 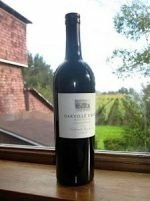 Mouthwatering, lengthy finish trails off with the taste of unsweetened chocolate and cassis -a wine that is structured, compelling and totally delicious! The 2012 Cabernet, Frediani Vineyards is full of toasted spices, sun-warmed earth and wild dark fruits. A wonderful expression of black currants in a lush package of balanced acidity and fine textured tannins. There is definitely that touch of oak with little licorice and a bit of bittersweet chocolate. During the economic recession of 2001, and Owen Roe’s first couple vintages as a winery, Washington growers were facing hardship in selling their fruit, come harvest time. At Owen Roe, they wanted to help our farming friends and prevent missing out on such well-tended, beautiful fruit. We were presented with the difficult and costly purchasing of grapes to process, cellar and bottle, waiting several months to recover our costs on the finished wine. 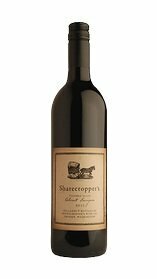 To overcome this obstacle, we decided to bring back the historical business practice of sharecropping, resulting in the aptly named wine, “Sharecropper’s.” This partnership meant that Owen Roe would take the fruit, make the wine and once it was sold, share the profits with our growers. This remains an important part of our history and due to the success of this wine; we are now able to pay our growers upfront. Everyone’s favorite go-to weeknight Cab does not disappoint in 2016. Sweet aromas of blackberry, candied fruit, vanilla and brown sugar leads to a more savory palate of pomegranate, green pepper and oil cured olives. This Cabernet finishes with bright acidity and lingering tannins. We recommend opening this wine now and enjoying it at a young age, however, this will age well for 4-6 years when properly cellared. Here’s your opportunity to help even more. 25% of each sale of the Paws for Love Wine goes directly to the Paws for Love Foundation. The mission of the Paws for Love Foundation is to provide resources and funding to shelters, rescue groups, and individuals dedicated to improving the health, welfare, and adoptability of unwanted and abused animals. “The Paws for Love Foundation provides a vital safety net for shelter and rescue animals in need of assistance in finding a permanent home – whether it be an injured homeless pet who requires a lifesaving surgery, reimbursement of adoption fees for seniors, or other rescue-related expenses. Many of these pets would perish without the funding we provide. They come to us frightened, traumatized, and homeless through no fault of their own. We believe each one deserves a second chance. We give them hope.” Much of their fundraising efforts feature artwork painted by talented shelter animals – that’s what the label is – a dog painting!